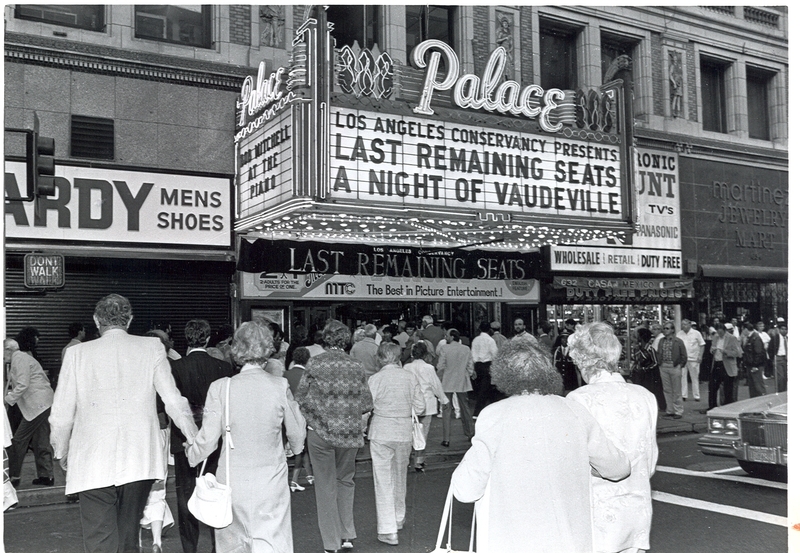 Downtown is ever more dapper these days and it’s due in large part to the dedication of the Los Angeles Conservancy, which has led the charge to preserve and protect historic buildings for over 30 years. Their annual Last Remaining Seats film series screens classic films in Downtown’s historic movie palaces and the fundraiser has become a must-attend event. Tickets are going on sale to the general public tomorrow, April 14th at 10:00AM. Conservancy members have ALREADY snapped up all of the series tickets so only tickets to individual films will be available. Your best chance to snag some of the Last Remaining Seats is to Go Go on line (see 1st link below); phone orders won’t be accepted and a mail/fax order won’t guarantee your picks. Dedicated aficionados often don vintage duds so this is the occasion to slip on your Sixties suit or bobby soxer best. Tinker Bell tights not for the timid…. Next Post Cocktails post-Taxman: Let me tell you how it will be….